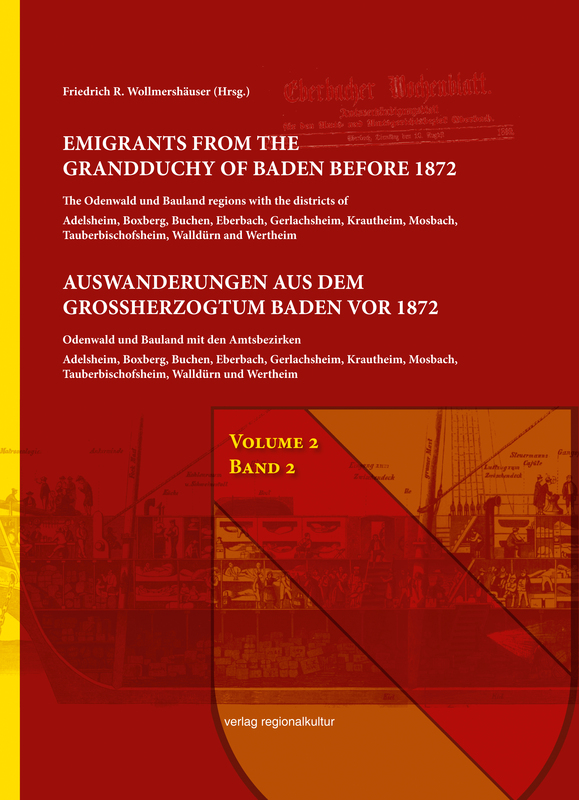 The Baden district gazettes and intelligencers of 19th century are full of low-echelon mentionings and advertisements about emigrants and absent persons. 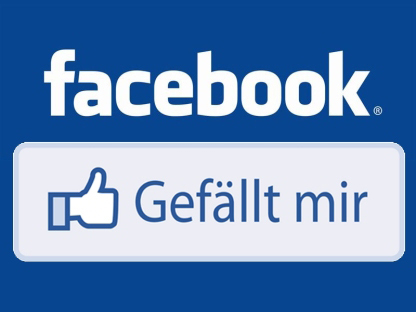 But who has time to plow through thousands of newspaper pages, hoping that good luck somehow will bring forth a long-searched-for emigrant’s name? 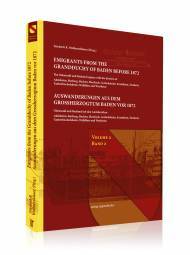 The remedy are name indexes which are now are available in print. 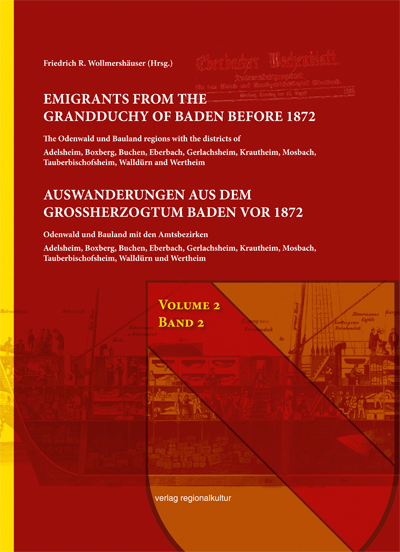 This volume contains the Odenwald und Bauland regions with the districts of Adelsheim, Boxberg, Buchen, Eberbach, Gerlachsheim, Krautheim, Mosbach, Tauberbischofsheim, Walldürn and Wertheim. 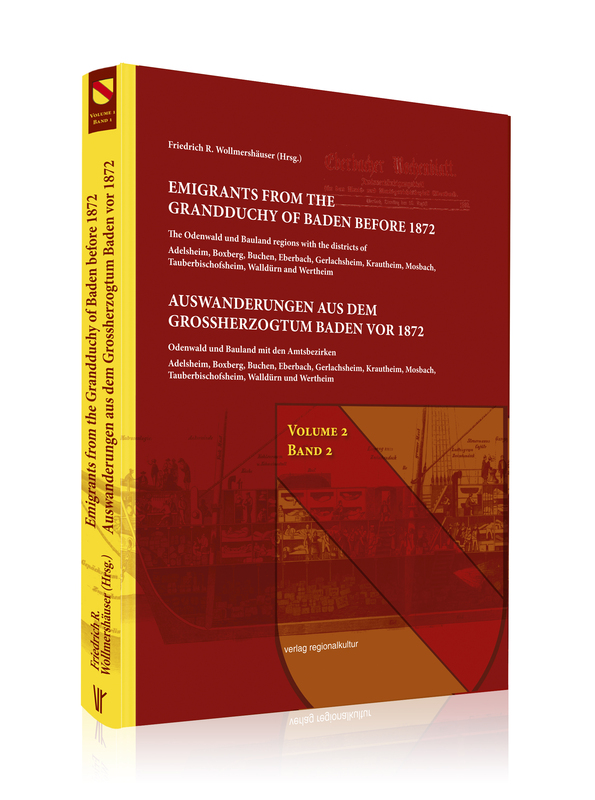 The five other volumes concern the regions of Breisgau, Ortenau, the area around Rastatt and Württemberg.